Hello. 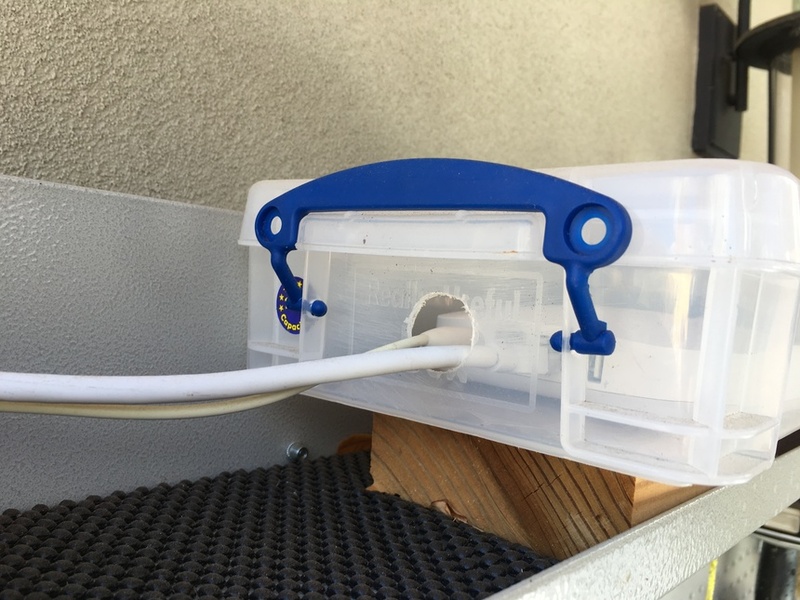 These little units are great, and I'm curious if anyone's found a weatherproof enclosure to mount these outside to get better coverage in areas like decks, porches, etc...? 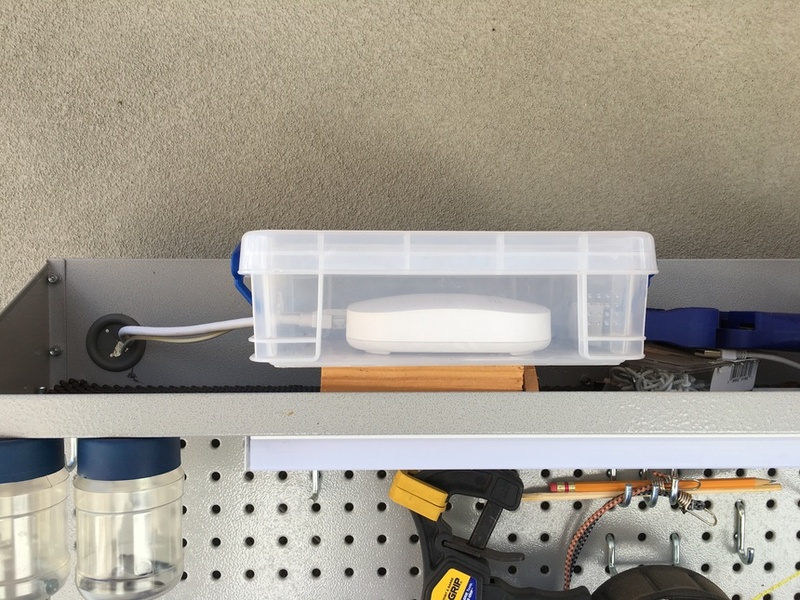 I had to solve the same problem so I hacked a little plastic storage box and put the eero unit inside. This sits on my workbench attached to the outside of a little studio in Santa Fe, NM through all types of weather. No issues so far. It is protected from the rain by a portal overhead otherwise I would have made the hole more water tight. Jwilson Well...that's simple! A plastic storage container. Pretty brilliant, I must say. I think I'd seal up that hole a bit more to keep stray moisture out a bit better, but this is a good solution.